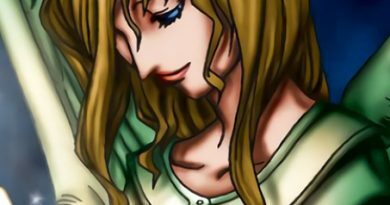 Konami introduced many new archetypes with the release of Soul Fusion. Of the 4, I decided to write about Orcusts, a DARK Machine archetype revolving around the banish mechanic. Just recently, Konami revealed new support for the deck. Savage Strike and Dark Neostorm bring new cards to help the playstyle of the deck. In this article, I will be talking about this new support and other cards that you can use to complement the playstyle. My previous article on Orcusts can be found here. How Does This Change Things? The release of Soul Fusion introduced the Orcust Deck with 12 members. On top of the Babel. Orcusts Brass Bombard, Cymbal Skeleton, and Harp Horror banish themselves from the GY to summon an Orcust monster from different locations. In order, they summon from the Hand, GY, and Deck. World Legacy – World Wand banishes itself from the GY to Special Summon a banished Orcust monster, and can summon a World Legacy from hand if sent to the GY. Orcustrated Babel is a field spell that makes all “Orcust” monster effects a Quick Effect. The spell Orcustrated Return is a spell that sends an “Orcust” from the hand/field to the GY to draw 2 cards. 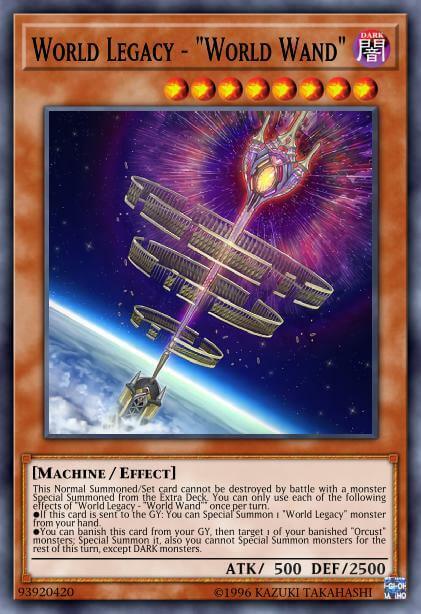 Orcustrated Einsatz allows the player to banish or send a DARK Machine monster from the deck to the GY. Orcustrated Core banishes a monster from the Field/GY to protect an “Orcust” card from being targeted and sends itself to the GY to stop destruction. Finally, Orcustrated Attack acts as a Dimensional Prison, but it Tributes an “Orcust” monster. 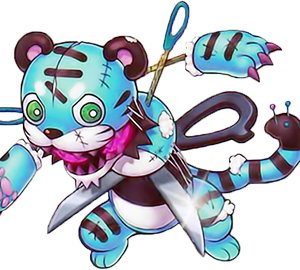 All of the Link monsters require at least one “Orcust” monster to be summoned, and you can shuffle back an increasing number of banished Machines to activate their effects. Galatea, the Orcust Automaton sets an “Orcsut” S/T from the deck, Longirsu, the Orcust Orchestrator sends a Linked monster to the GY, and Orcustrion negates the effects of all Linked monsters and makes their ATK/DEF 0. The first new support released from Savage Strike is Orcustrated Knightmare. It is a level 7 DARK Machine with 500 ATK and 2000 DEF and, like the previous monsters, has an effect that is activated from the GY. 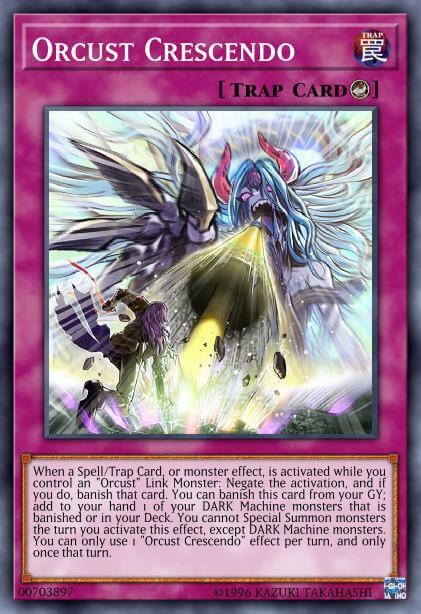 By banishing it and targeting a monster on the field, it sends a DARK machine from the Deck to the GY and makes that monster gain ATK equal to 100 times the level of the sent monster. Just like the previous monsters, it locks you into summoning DARK monsters for the rest of the turn. There was also a Trap released in Savage Strike: Orcustrated Release. It allows you to summon a monster from your GY by tributing 2 DARK machines you control. However, if your opponent controls a Link monster, you can summon 2 monsters from the GY instead. The end of the battle against Ib. Along with the new cards in Savage Strike, two more cards are upcoming in the May booster set Dark Neostorm. Orcustrated Climax is a counter trap that has two effects. 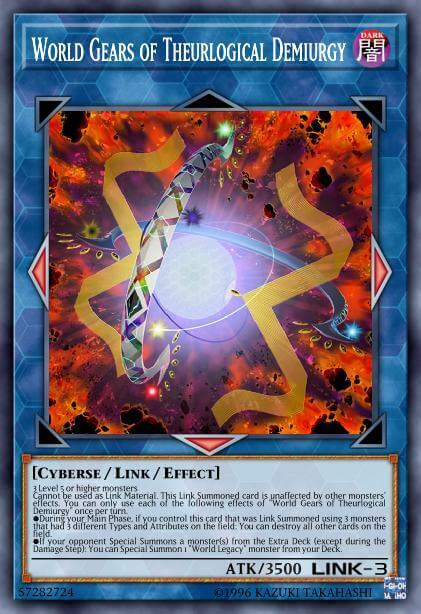 While set, it negates the activation of a S/T card or monster effect if you control an “Orcust” Link monster. If it is in the GY, you can banish it to add one DARK machine from the banished zone or the deck to your hand. However, it locks you into only summoning DARK machines for the rest of the turn. The final piece of support introduced in Dark Neostorm was a bit of a surprise. 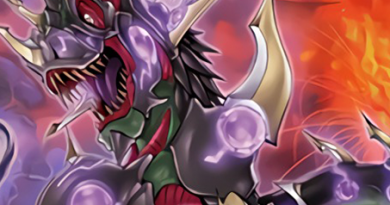 Sheorcust Dingirsu is a DARK Machine Rank 8 XYZ monster with 2600 ATK and 2100 DEF. Immediately, there seems to be a problem with it: how can it be summoned in the first place? The only level 8 monster in the deck is World Wand, and although you can summon a level 8 Synchro with Knightmare and Bombard, there is no reason to use it as material. Luckily, its effect helps. 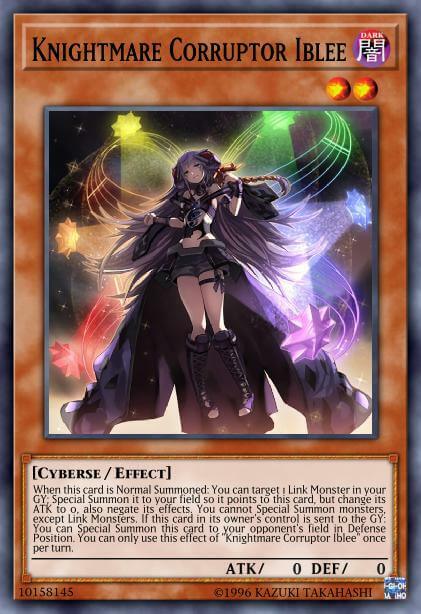 You can XYZ summon it by using an “Orcust” link monster as material, but it can only be summoned once per turn. If summoned, you can either send one card on the field to the GY, or attach one of your banished machines to it as material. Then, if any card(s) on your field would be destroyed, you can detach a material from it instead. The deck has become a lot more consistent with this new support that Konami released. Prior to Savage Strike, the most important “combo starters” were Armageddon Knight and/or Dark Grepher. Other starters can include Mathematician or Scrap Recycler. What all of these monsters have in common is the fact that they are able to send a monster from the deck to the GY, and the usual target was Harp Horror. Armageddon Knight and Dark Grepher were the preferable targets, especially since they were DARK and searchable by Reinforcement of the Army. However, in the previous 2 banlists, Konami limited them both, so now they are much more difficult to get to. Unlike other decks, we run 3. Orcust Knightmare opens up the deck to a new opening card: Knightmare Corruptor Iblee. What is considered by many other decks to be a “Garnet” has become possible the best combo starter for the deck. It allows us to summon Knightmare Mermaid from the Extra Deck and tutor the Orcust Knightmare from the deck. From there, you can summon Galatea, send a Harp Horror to the GY, and continue on from that point. Not only that, but your opponent will have an Iblee on their side of the field, locking them out of their special summons for the turn. The two cards revealed in DANE, on the other hand, are extremely good for the deck. Of the S/T cards, Climax is likely the best in the entire archetype (apart from Babel). It acts like Infernity Barrier, and can be easily set from the deck by Galatea. The search effect may not come up often during the first turn, but it is good for recovery and extension past the opening board. Dingirsu is also an excellent card to go into. If summoned by Skeleton during the opponent’s turn, it can serve as either disruption by non-targeting removal or recursion of monsters from the Banished zone. There is no doubt that Iblee has become one of the best opening cards for the deck. However, in recent weeks its price has nearly doubled from what it was prior to the Dark Neostorm support reveals. That is not necessarily such a bad thing, since luckily there is an alternative. 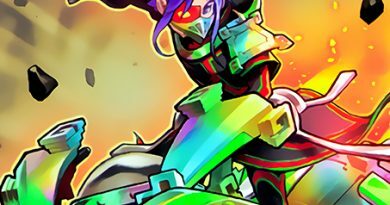 Structure Deck: Soulburner introduces Formud Skipper. It is a level 1 Light monster with 0/0 stats that allows it to take the name, Type, and Attribute of any Extra deck monster you reveal. Reveal any “Knightmare” link monster (except Mermaid), and then you can start the combo by using Skipper for Mermaid. However, this play is not as powerful as using Iblee. Due to SEGOC, you can make Mermaid Chain Link 1, and Iblee Chain Link 2. This would allow Mermaid to be unaffected by common hand traps like Ash Blossom & Joyous Spring or Ghost Ogre & Snow Rabbit (Infinite Impermanence and Effect Veiler will still work). This protection is not as easily available with Formud Skipper. Wonder if those flames would hurt? 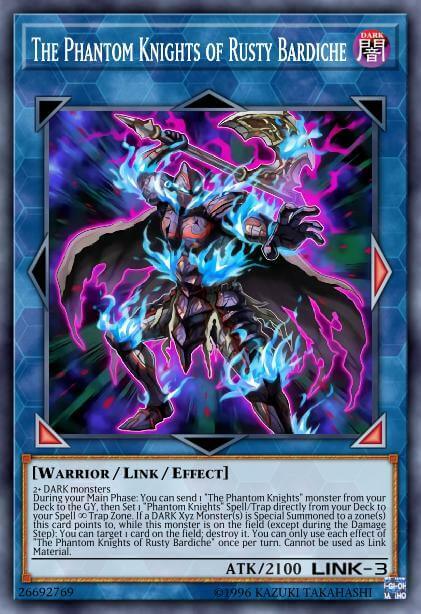 In my opinion, the archetype that can unlock the most potential for the Orcust deck is the Phantom Knights. The monsters are DARK warriors that banish themselves from the GY to activate an effect. Ancient Cloak searches a “The Phantom Knights” card, and Silent Boots searches a “Phantom Knights” S/T. Ragged Gloves is not quite as useful as the other two. Their Link Monster, The Phantom Knights of Rusty Bardiche, helps the engine immensely. It sends any PK monster to the GY to set any S/T directly from the deck. This helps you fetch two Phantom Knights’ Fog Blade (one from Bardiche, and another from Silent Boots). However, there are other ways you can utilize the engine. If there are two level 4 monsters on the field, you can go into a DARK Rank 4 XYZ monster (Evilswarm Thanatos or Time Thief Redoer will work). From there, you can either use Bardiche or Silent Boots to set a The Phantom Knights’ Rank-Up-Magic Launch, and during your opponent’s tur, go into Outer Entity Azzathot. Once Dark Neostorm is released, this same card can be used to bring out a True King of All Calamities on top of the Dingirsu instead. What started out as a funny deck that can link climb like Yusaku has now become a force to be reckoned with. The deck has evolved to utilize meta-relevant cards and will soon be able to hold its own against competitive decks. Personally, I can’t wait to see how the deck will perform in the competitive scene. However, for now I will keep on wondering how the original World Legacy crew will defeat the World Regalia Demiurgear. Will they defeat this planet-sized threat? Banlist Excitement and Fears: How Much Should We Actually Worry?